There are some issues using such a crusty old Linux binary. Let's see why getting a Linux binary up and running is such a pain. We can follow the step-by-step recipe provided by user kwahoo2 in a Reddit discussion, which I have excepted here and annotated for convenience. This occurs since the old version of makeself (which was used to create the installer) balks because of obsolete syntax for the head and tail UNIX commands. The fix, according to the makeself author, is to lie to your system which enables the old syntax. Now we can run the installer. Oops! Loki Technical Support no longer exists! The installer does not recognize a 64-bit system as legitimate and refuses to continue. You can use the linux32 command in the following manner. The linux32 command sets an environment the app runs in allowing some compatibility on 64-bit systems. There are more details in the man page. User kwahoo2's alternative solution to this problem is to extract the installer files and modify the setup.sh file to once again lie so the installer thinks it is installing on a 32-bit system. Of course, if you are actually installing on a 32-bit system, you can avoid this bit of subterfuge altogether. And use your favorite text editor to alter setup.sh as follows. Now you think you can run the installer and it will run and complete the installation. Wouldn't it be nice if someone re-built the installer so it could be used without the hacks? Here's the final problem, the Loki installer itself inside the makeself archive has dependencies that will not permit the installer to be run. Again, it would be nice to have the Linux binary installer modified to run on modern Linux systems. If you manage to run the installer, you should probably answer "yes" to every question. You can quit the installer when it asks you to mount the CDROM . . . because you don't have one. We'll get to that shortly. You can install the bonus content at this point. It's in a makeself archive as well. When finished, the directory structure, the desktop link and the game binaries are installed. The binaries are at version 436; do not update to version 451 since it causes problems when connecting to servers. You need only to provide the game data files. If you purchased the game from STEAM, copy the files over to /usr/local/games/ut. If you purchased the game from GOG, place the game installer, setup_ut_goty_2.0.0.5.exe, in a directory by itself. The installer used by GOG on all of their version 2 installers is a free-but-proprietary application named Inno Setup and a tool named innoextract can be used to un-pack the installer. From the innoextract website, here is the info on extracting GOG files. GOG.com Installers GOG.com installers with a 2.x.x version number on the download page or in the filename use Inno Setup 5.5.0 and cannot be extracted by innoextract 1.2 and older. Older installers use Inno Setup 5.2.3 and usually have no version in the filename. Some GOG.com multi-part installers with version 2.1.x or higher use RAR archives (renamed to .bin) to store the game data. These files are not part of the Inno Setup installer. However, innoextract 1.5 or newer can extract them using the --gog option if either unrar or unar is installed. If your distro does not provide innoextract, you can download a Linux binary from their site or build it from the source code. The innoextract app will unpack the files in a sub-directory named ./app. The files contained in ./app should be moved to /usr/local/games/ut. You could delete the DLL files and the win32 apps, but just leave them alone; they won't hurt anything. The Old Unreal site has some additional instructions which I will excerpt below. Once you've got through this, you may also install all bonus packs with the installer provided on the same page as UT's installer. The next thing to do is to install UTGLR renderer, which corrects several bugs, brings anisotropic filter and allows users to limit framerate (and thus, avoid having the game play way too fast). There are several unofficial Linux binaries of this on the net, one that works pretty well is located on a tiny website called Let's Play UT. Download "OpenGLDrv.so - Linux port of the UTGLR renderer", then go to ut/System, make a backup of stock OpenGLDrv.so and replace it with the one you just downloaded. In order to run it, you will also need libstdc++-3-libc6.2-2-2.10.0.so and libstdc++-libc6.2-2.so.3 from Loki Compatibility Libraries [HOWTO]. Once you've downloaded loki_compat_libs-1.5.tar.bz2, decompress those two libs only and copy them to ut/System. Now that we have an updater renderer and all the correct libraries, we should get sound working. Old Unreal also helps with that. - Using padsp wrapper with the Generic Audio Subsystem- Using osspd daemon with OpenAL - Using osspd with OpenAL is the best solution though, because the first one makes the game crash on some maps, and OpenAL sound provides much better quality than the other one. In order to use osspd (which must be included in your distribution if it's up-to-date enough), you have to start the daemon. With systems using systemd (Fedora or Arch Linux, for example), you just have to type # systemctl start osspd to start it and then# systemctl enable osspd to have it launched on startup. For other distributions, that may use sysVinit, upstart, etc., please refer to your official documentation, that should not be very complicated either. We're not quite finished yet. Start and end the game to ensure that sound works. Old Unreal continues. Make sure that sound is working, and then configure graphics using in-game dialog window. When you're finished, just quit. Now that the ~/.loki/ut directory is created, open ~/.loki/ut/System/UnrealTournament.ini and go to [OpenGLDrv.OpenGLRenderDevice] section. When you're finished, just quit. Now that the ~/.loki/ut directory is created, open ~/.loki/ut/System/UnrealTournament.ini and go to [OpenGLDrv.OpenGLRenderDevice] section. Then, add or modify the following lines :FrameRateLimit=90MaxAnisotropy=4You can get a more complete documentation on UTGLR website. To play on-line multiplayer, Old Unreal also recommends that you install a DLC downloader named nploader, currently at version 0.9. Most every server offers additional files you must install. YMMV. That's a lot of work to get crusty old Linux binaries to be playable on a modern Linux. Here's what I do, I install the game with the GOG installer using Crossover. The Crossover installation "tie" (an installation script that pulls in whatever additional files are needed to run the game) expects you to use the STEAM version, but I have the GOG version. Here's how I install it. In Crossover, select "Unlisted application Unreal Tournament GOTY" to install. Choose a Windows7 bottle if it does not default to one; GOG builds the games for the Windows7 platform, not the original Windows98. There are some visual upgrades you can apply to Unreal Tournament GOTY, the easiest being and upgraded renderer. There are three to select from. The first is from Kenti.net and is a Direct3D 10 renderer. It requires two additional files to be installed, dxwebsetup.exe and vcredist_x86.exe. Instructions for installing it are here. 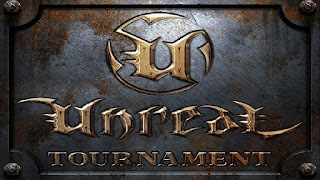 This site also supplies Direct3D renderers for Rune, DeusEx and Unreal Gold contained in the same package with Unreal Tournament. While this renderer is supposed to have issues with v227, I have not experienced any. In the UT Video Configuration window, select Dircet3D 10 Support. At the bottom of the web page are descriptions of what the options will do. This renderer will support wide-screen formats. The second is utglr36 for Direct3D 9 renderer from this page which includes download links and instructions. It as also available in separate downloads for DeusEx and Rune, but not the original Unreal. This renderer was last updated in August, 2010. In the UT Video Configuration window, select Dircet3D 9 Support. There is a Settings page that explains what each of the options will do. The third is nglide, a3Dfx Voodoo Glide wrapper from Zeus Software that translates all Glide calls to Direct3D. Some may prefer this since how the graphics appear varies depending on the renderer you select and many of these games were written for Glide and Voodoo video cards. There was a lot of 3D performance in a 16MB video card. They have a discussion forum for nglide which was active as of the day of writing this. So we have two options for more modern renderers and one option for using the obsolete, unsupported but truest-to-original Voodoo renderer. All these renderers allow us to use the S3TC high-resolution textures. S3TC is a set of compression algorithms original created by S3 Graphics that are tailor-made for game graphics. Support was included in DirectX at version 6.0 and OpenGL at version 1.3. While S3 still holds the patents, those expired in October 2017, making them available to the FOSS community. Because Unreal Gold was updated to use the Unreal Tournament game engine, the same high-res textures used for Unreal Gold also work for Unreal Tournament. They can be downloaded from ModDB. The all come from Unreal Texture. The textures can also be obtained at UT-files. At The Liandi Archives, there is a list of, and links to, all patches, Bonus packs, demos and other content including mods and Easter Eggs. Here's the download link to the Windows Demo and the Linux Demo if you just want to test it out. Crossover is available as a time-limited full-feature demo if you want to try that out. The GOG version comes with the first three official Bonus Packs installed which provided additional maps and textures and minor fixes to the game. The fourth Bonus Pack is not provided by GOG, but is available from here. Game updates and map packs are distributed in umod, or Unreal Modules, archives. GOG has disabled umod support and the only available cross-platform tool, umodpack, is no longer maintained and relies on obsolete versions of Perl. What to do? Fortunately, is is possible to restore umod functionality to the GOG version by installing an app mentioned on UTModsFAQ, the UTRegistryFixingUtility. Use the "Install software into bottle" option to install it (it merely installs registry keys). You may then use "Run command" from your UT-GOTY bottle no navigate to the BonusPack4.umod file, and it will install the umod file's contents. Other win32 alternatives such as UMODExtractor.exe, UMODWIZARD.exe, UMOD_explorer.exe and other UT-related utilities and files can be obtained from ut-files.com. Once you have beaten the game by working your way up the ladder, you are rewarded with some special models. To get these models without beating the game, edit User.ini as follows. In your UnrealTournament.ini file, increase the default value of CacheSizeMegs to 128, assuming you have lots of RAM. If you get a SIGSEGV at the time OpenGL is starting up, it's because you don't have all the required 32 bit libraries.